ONE of the country’s leading licensing experts has questioned new research exploring the link between crime and the availability of alcohol. Solicitor Jack Cummins believes the research, undertaken by academics at Glasgow University, underestimates the power licensing boards have at their disposal. The study, which examined the impact of regeneration on disadvantaged communities in Glasgow, found a direct correlation between crime rates and the number of alcohol outlets in a neighbourhood. The report’s authors, senior lecturer Jon Bannister; Ade Kearns, professor of urban studies, and Mark Livingston, research fellow at the Urban Studies Foundation, criticised how current licensing laws deal with overprovision, arguing that it’s “undefined” and lacks guidance on estimation. In a comment piece published in a Sunday newspaper, they said that although legislation focused on issues of accessibility of alcohol to young people and the promotion of alcohol by producers and retailers, policy provision “seems weaker” when it comes to the number of places licensed to sell alcohol in any particular area. They went on to say: “There is also no commitment to necessarily refuse a license application in an area of ‘overprovision’. In any case, any such refusal can be overturned on appeal. That is not a view shared by Cummins, who described the suggestion that a cull of licensed premises may be needed as “off the wall”. “I’d want to look at the detail of the report when it’s published before expressing a concluded view,” he said, “but on the basis of the newspaper report I’d say that the researchers’ conclusions underestimate the strength of the current overprovision legislation. “I’m not impressed by the suggestion that an overprovision refusal can be overturned on appeal. That’s not a weakness. It’s an obvious safeguard. “As to the comment that there’s ‘no policy to actually reduce the number of licensed outlets in any area’ – that’s a different ball game. Even in the current – sometimes semi-hysterical – climate about alcohol availability, the notion that a cull of licensed premises may be required is just off the wall. Recent events show that boards do have significant powers to tackle overprovision. In 2010, the West Dunbartonshire board judged that the region was all but saturated with licensed premises amid rising drink-related health concerns. It declared there was overprovision in 15 of its 18 areas and has since seen applications for new premises licences fall. 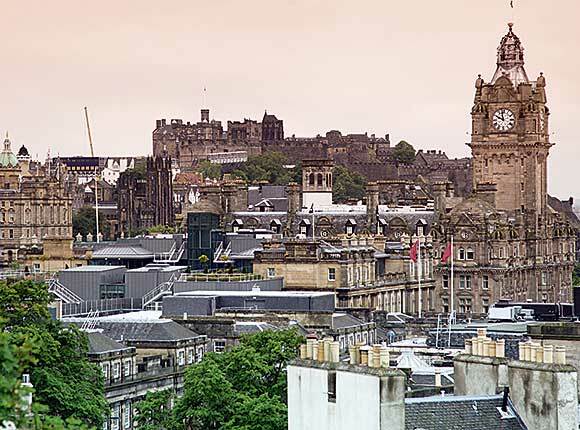 Now Edinburgh is saying the city is over-provided with off-sales premises and under its updated policy is minded to say no to any new applications. SLTA boss Paul Waterson acknowledged the potential of these regional policies but remains convinced a nationwide approach would work best. Image: Edinburgh is over-provided with off-sales outlets, according to the city board.